A concept by Muṣṭafa Sa‘īd. Dear listeners, welcome to a new episode of “Sama‘ “. Today, we will be resuming the analysis of dawr “Yā ma-inta waḥishnī” written by Sheikh Muḥammad al-Darwīsh and composed by Muḥammad ‘Uthmān. Our previous episode ended with the discussion about the shift section between the ḥijāzkār and the bayyātī 5th scale step. 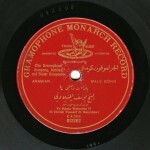 After that, we had listened to a complete recording of the dawr performed by ‘Abd al-Ḥayy Afandī Ḥilmī, made by Zonophone around 1906 on three record sides. There are numerous ways to conduct the shift we are discussing. It can be done either by exploiting the technology as ‘Abd al-Ḥayy did, or by conducting the shift to the bayyātī himself, or by having the band conduct the shift to the bayyātī as Sheikh Yūsuf did. Both Sheikh Yūsuf and ‘Abd al-Ḥayy Ḥilmī started the tarannum phase after the bayyātī –not before it– in the last part of the conclusion that we will also listen to later during this episode. Ṣāliḥ ‘Abd al-Ḥayy sings a very strange phrase. He had clearly heard it or had maybe added it himself. Yet, it is a fixed phrase. Later after the fixed phrase, he sings āhāt to the ḥijāzkār and the biṭāna answers him back. These āhāt are the start of the henk section, or are the henk, the tarannum. After the tarannum, he has the band lead the shift to the bayyātī then continues the tafrīd he follows with the waḥāyid. This is very strange and another “dramatization”, or another understanding of the dawr’s “dramatization”. This is why I insist that the set pattern is meant to “dramatize”. It is as if he wanted to place chapters, with each performer dealing with this “dramatization” through experimentation according to the moment, unlike all the other adwār. 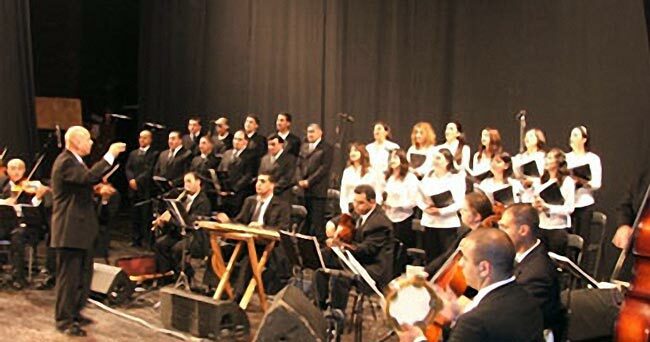 Let us listen to the shift section performed by Ṣāliḥ ‘Abd al-Ḥayy. We will hear the fixed phrase that he repeats many times, then the tarannum –i.e. the āhāt to the ḥijāzkār –, and notice how the band leads him to the bayyātī, then he resumes the tafrīd. We have entered the bayyātī section, the waḥāyid section, the section of the dialogue with the biṭāna. 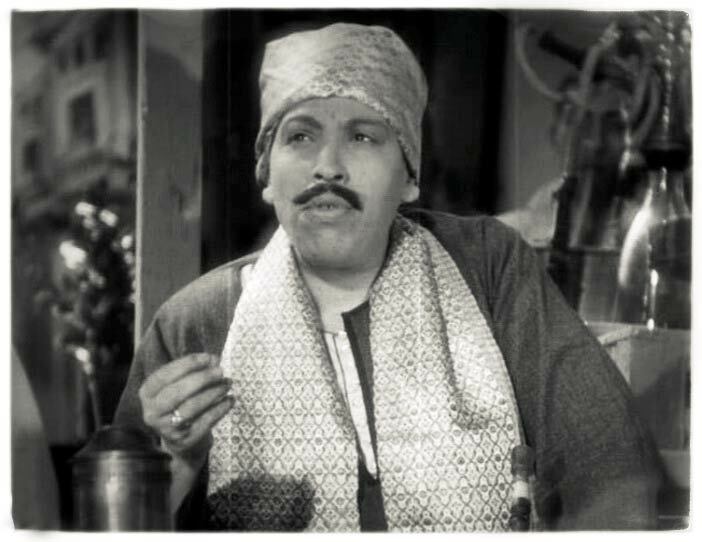 We said that ‘Abd al-Ḥayy shortened it a lot. Sheikh Yūsuf and Ṣāliḥ ‘Abd al-Ḥayy share a common point. But let us shed some light on a specific section, the transition from the bayyātī to the ṣabā, from the beginning of “Inta māliknī min albī” to “bi-el-ma‘rūf”. Four stages until he reaches the ṣabā 4th scale step. Ṣāliḥ ‘Abd al-Ḥayy attempts the same route, but he is an afandī, thus not used to going down the maqām gradually within the scale itself like the mashāyikh. Let us listen to this section, the dialogue, and notice how Sheikh Yūsuf reaches the ṣabā, then how Ṣāliḥ ‘Abd al-Ḥayy reaches the ṣabā. Have you noticed Sheikh Yūsuf’s biṭāna? He goes down and they go down. The same thing takes place with Ṣāliḥ ‘Abd al-Ḥayy. There is a great harmony between the biṭāna and the solo performer. Note the ṣabā with Sheikh Yūsuf. He begins the ṣabā section then goes back again to the tafrīd. He leaves the dialogue a little and goes back to the tafrīd that he starts with the phrase he will use again to conclude the dawr. He concludes the dawr with this phrase after shifting to the jahārkāh and after everything else. But instead of stopping it at the ṣabā 5th scale step, he takes it back to the ḥijāzkār. He starts with this phrase then sings to the ‘ushshāq 1/6 of the 5th scale step that is from the maqām’s 3rd… a very pleasant ‘ushshāq. Then he goes back from the ‘ushshāq to the ṣabā to resume the biṭāna’s dialogue and also to receive the jahārkāh that will introduce the conclusion. Let us listen to this breath-taking ṣabā phrase performed by Sheikh Yūsuf, to the great transcendence he reached with the ‘ushshāq. Wow! How pure and sublime! Great Sheikh Yūsuf! Let us resume with the waḥāyid section and listen to the shift from the ṣabā –the ḥijāzkār 5th scale step– to the jahārkāh –the ṣabā’s 3rd scale step that is the ḥijāzkār 7th scale step. Let us listen to it performed by Sheikh Yūsuf and notice the exploitation of technology in the shift. Notice how the takht starts the jahārkāh after the record is turned from the 3rd side to the 4th and last side. Listen carefully to the dialogue with the biṭāna. Let us listen to another recording made maybe 60 years at least after Sheikh Yūsuf’s recording. Notice how the group interprets this dialogue. This improvised dialogue that is the peak of salṭana, pleasure and ṭarab, will become fixed. He divided the choir, even the men’s choir. He understood the “dramatization” of the dawr but in a way that is totally different from the way it was understood by Sheikh Yūsuf or by any other solo performer as to triggering pleasure, ṭarab, and emotion. I would like, before listening to the waḥāyid section –the dialogue with the biṭāna which is the dialogue between ‘Abd al-Ḥalīm Nuwayra’s two groups–, to highlight that with Al-Manyalāwī, the role of ‘Ali ‘Abduh Ṣāliḥ’s nāy is prominent when he plays to the jahārkāh. Its sound is high and clear in the whole dawr, but it plays a beautiful part in this specific section. I would also like to add that there is a cello player with Mr. ‘Abd al-Ḥalīm Nuwayra who went outside the norm and outside what was written, before the jahārkāh shift and performed some great ornamentations that I do not think were even accepted at that time, but that added beauty to the collective performance and gave it a very pleasant ornamented character. This musician –whose name I do not know– must be thanked. Let us listen to this jahārkāh section performed by Sheikh Yūsuf and to a part of the dialogue performed by the Arabic Music Band conducted by Mr. ‘Abd al-Ḥalīm Nuwayra. Now, let us study the conclusion. We said previously that ‘Abd al-Ḥayy concluded to the ṣabā 5th scale step on purpose, not because the record ended or for any other reason. Let us discuss the difference between the conclusion in the Odeon recording –that we will listen to now– and the conclusion in the Zonophone recording –that we listened to during the previous episode when we listened to the complete dawr. In the conclusion in the Zonophone recording, he shifted to the jahārkāh. He was supposed to conclude to the ḥijāzkār, but he did not. He went back to the ṣabā and concluded. Here, he did not go to the jahārkāh at all. He conducted an extremely short dialogue with the biṭāna then concluded. Sheikh Yūsuf al-Manyalāwī, after shifting to the jahārkāh, shifts again to the ḥijāzkār. But he does not conclude to the ḥijāzkār at “bi-el-ma‘rūf”. He goes back to the ṣabā 5th scale step, then from the ṣabā achieves an acrobatic shift back to the ḥijāzkār to conclude… The signature of Yūsuf al-Manyalāwī who says very clearly “Take the maqām from me as it is”. Whereas, when Ṣāliḥ ‘Abd al-Ḥayy shifts from the jahārkāh to the ḥijāz, he resumes the dialogue with the biṭāna and the waḥāyid, i.e. he sings a phrase to the ḥijāz then takes the āhāt that he had performed in the tarannum as a phrase he will repeat after the madhhab “Kēd el-‘awādhil kāyidnī” and concludes with it the dawr in a masterly conclusion that is very close to the dawr’s original conclusion. Each performs the conclusion in a personal style. Let us listen to the three conclusions and note how, even in a fixed element, it is possible to take initiatives and add variations without ruining the work. Let us now listen to a complete recording of the dawr performed by Ṣāliḥ ‘Abd al-Ḥayy, and end this episode. In Sheikh Yūsuf al-Manyalāwī’s recording: Muḥammad al-Aqqād (qānūn), Ibrāhīm Sahlūn (kamān), ‘Alī ‘Abduh Ṣāliḥ (nāy), Muḥammad Abū Kāmil al-Raqqāq (percussions). 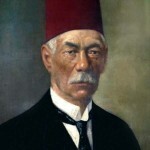 His biṭāna includes Ḥasan Yūsuf al-Manyalāwī and ‘Alī ‘Abd al-Bārī among others. In Ṣāliḥ ‘Abd al-Ḥayy’s recording: Muḥammad ‘Abduh Ṣāliḥ (qānūn), ‘Abd al-Fattāh Ṣabrī (‘ūd) –in fact, Ṣāliḥ ‘Abd al-Ḥayy is also playing the (‘ūd)– Labīb Ḥasan (kamān), Ibrāhīm ‘Afīfī (percussions). His biṭāna includes Sheikh Maḥmūd Mursī, Muḥyī al-Arabī and the Egyptian Radio’s biṭāna –I honestly do not know who they are. The dawr is excerpted from a waṣla to the ḥijāzkār that initially included a samā‘ī shatt ‘arbān by Jamīl Bēh Ṭanbūrī and a taqsīm layālī, then the dawr. We have reached the end of today’s episode of “Sama‘ “, and thus the end of our study of dawr “Yā ma-inta waḥishnī”. We will meet again in a new episode of “Sama‘ “.